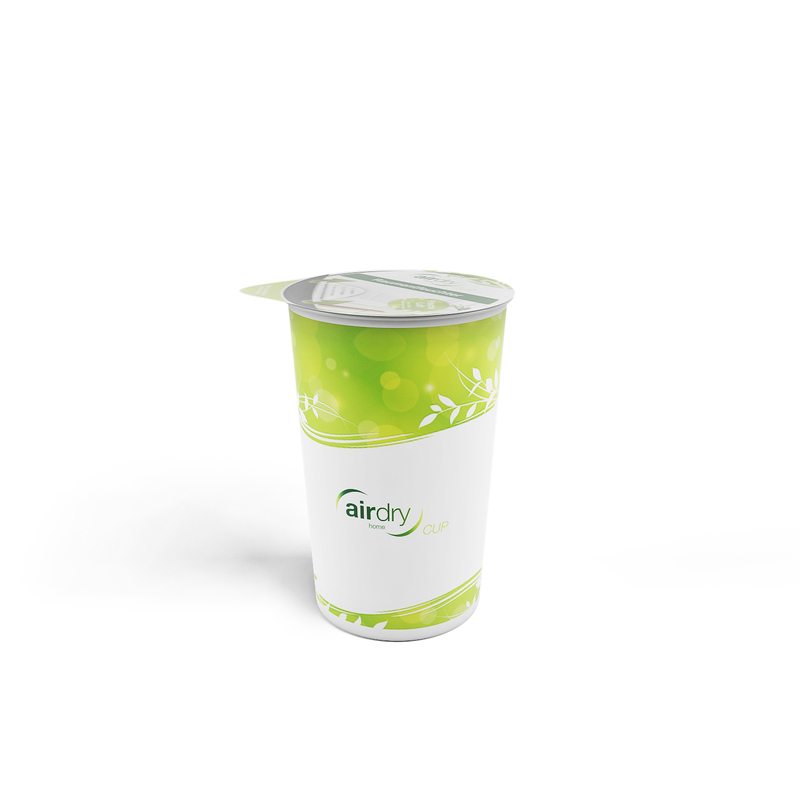 The AirDry Cup Green weighs 150gr and can absorc upto 300ml. 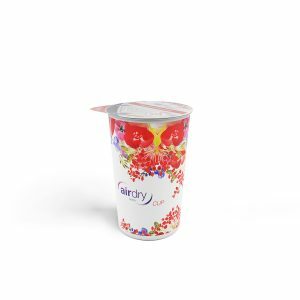 The cup is available in different pleasant sentences, Mobile, Flower or Green. 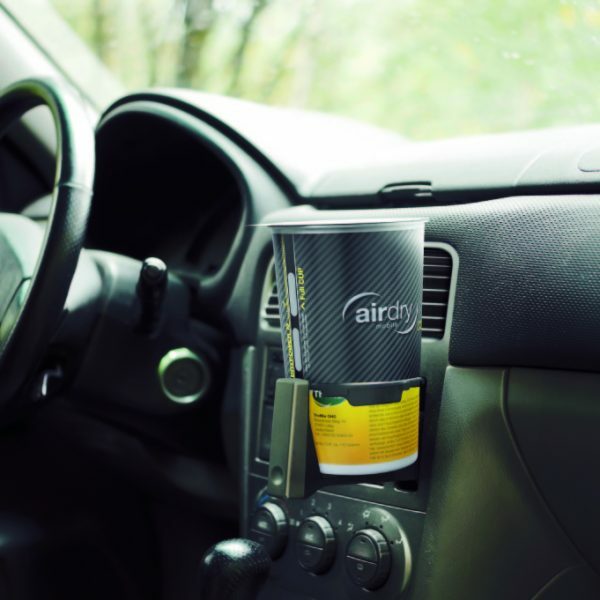 For smaller spaces, your car or home dehumidifier! Effect: Like a magnet, AirDry CUP Green draws moisture from the air. This minimises the risk of mildew, mould stains, rust and musty smells. Additionally, this CUP releases a pleasant fresh fragrance. 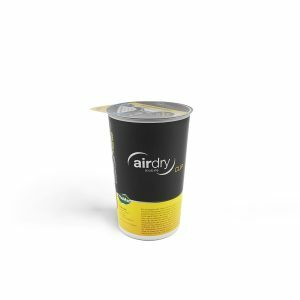 airdry CUP is effective until the granules are completely liquefied. Moisture absorption depends on temperature and humidity. 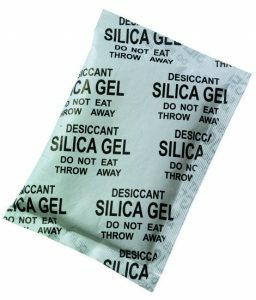 Within a period of 6-8 weeks, the amount of captured moisture reaches up to 300g. Volume can be checked by means of the vision panel. To activate: Peel off aluminium cover and securely place where required. The granules immediately start absorbing moisture and clump before liquefying. 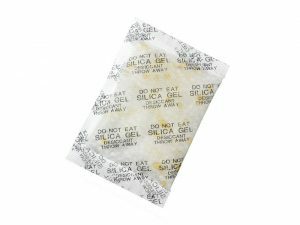 Information: Do not damage or remove absorption membrane. In case of accidental spillage of granules or liquid, immediately remove with lukewarm water to avoid stains. 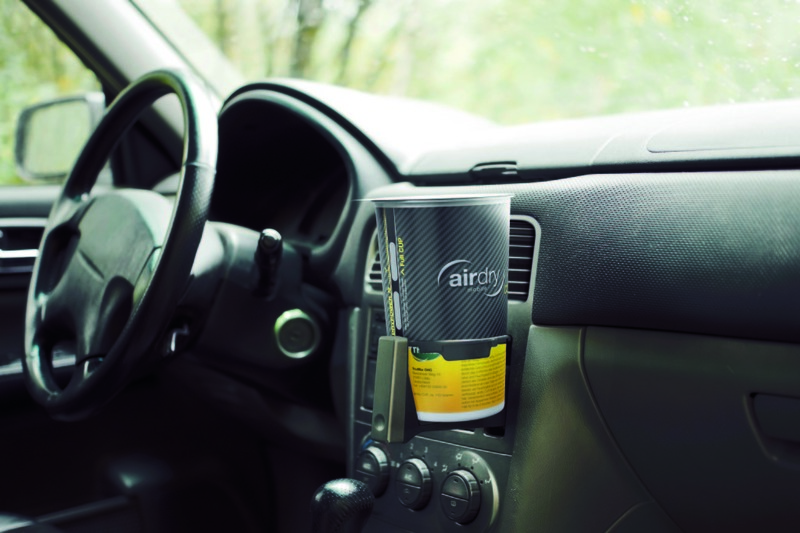 After use, airdry CUP may be disposed of with domestic waste.